The Iris255 NightPilot looks like an accessory from Star Wars and includes some pretty hi-tech wizardry considering its $4,895 suggested retail price. 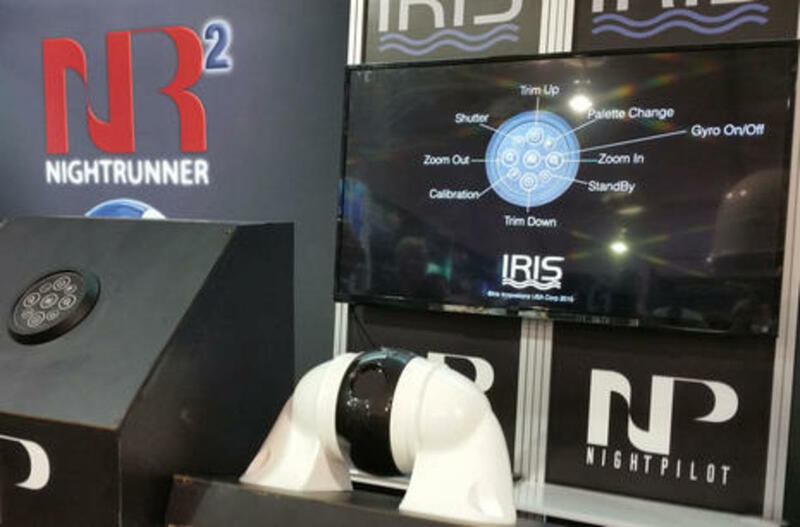 Stormtroopers will be pleased with a new value-priced gyro stabilized thermal camera from Iris Corporation. The Iris255 NightPilot looks like an accessory from Star Wars and includes some pretty hi-tech wizardry considering its $4,895 suggested retail price. Specs include 320 x 240 resolution, 8x digital zoom, and built-in heater with automatic temperature control for cold conditions. 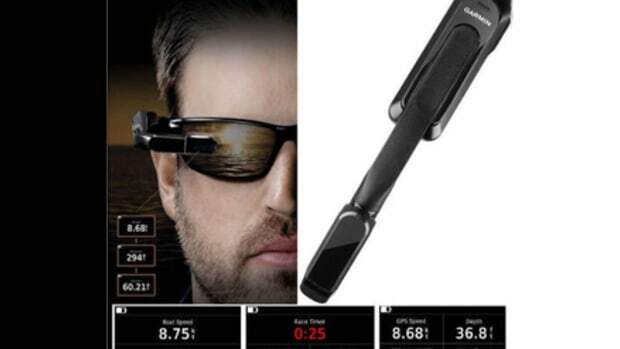 And since Panbo wondered if the Iris NightRunner PTZ cam "was too good to be true" in 2013, the company seems to have established itself as a serious player in lower priced thermal cameras. 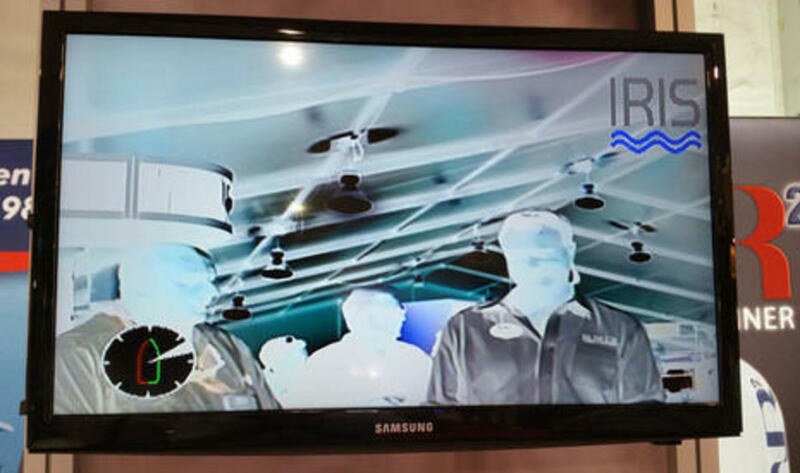 This photo shows similar Iris thermal imagery when the NightPilot was introduced at the Fort Lauderdale boat show. Note that the camera was in white/hot mode (Ben thinks) and perhaps sharp readers can explain why the seemingly hot ceiling lights show as cold dark black? 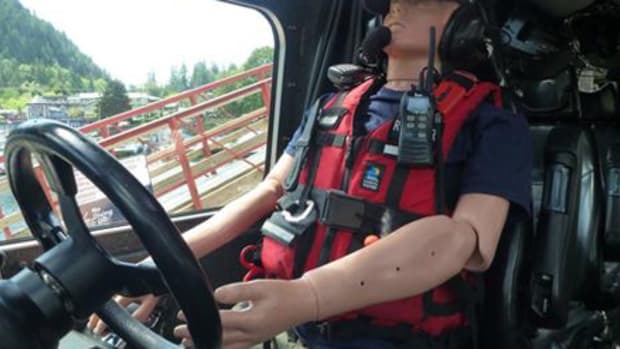 The NightPilot is intended to be mounted in a fixed position, presumably looking dead ahead, and will only tilt -- no pan. Trim is manually adjustable to compensate for installation angle. The camera&apos;s gyro controlled motor moves at a purported rate of 360 degrees per second compensating 70 degrees up or down for wave motion. In other words, this thermal camera may be usable in conditions when an unstabilized image would be very difficult to look at. But if you appreciate a slew to cue feature you may need to look elsewhere. 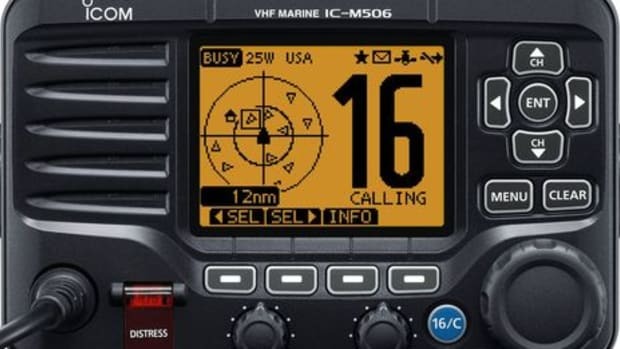 Lowrance, Garmin, Raymarine, and Humminbird are competing fiercely for the millions of smaller boat fishermen who&apos;d like to keep their primary electronics budget under $1,000. If fishing lakes is your passion then SmartStrike on Humminbird fishfinder/plotters looks like a pretty cool feature that just might make your day more productive. 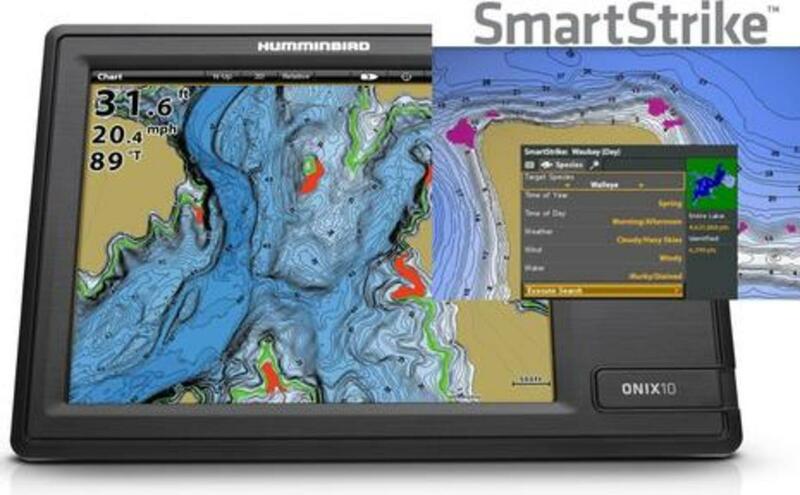 Humminbird&apos;s Helix line of plotter/fishfinder combos offer five different screen sizes from 5 to 12 inches and the 9, 10, and 12 inch models just got a free software update that includes SmartStrike (Lakemaster charts needed). The feature was only available previously on the higher priced ONIX series. 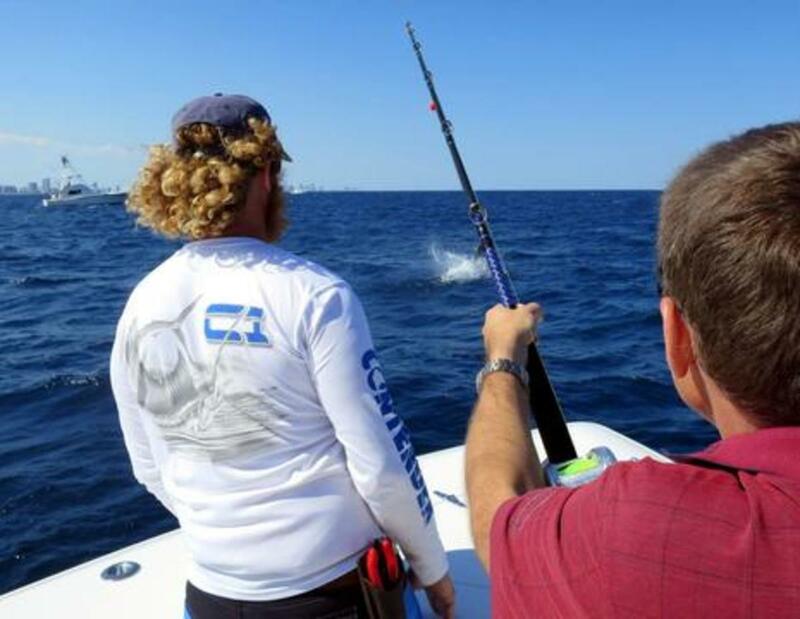 By entering a target fish species along with environmental conditions and time of day and year, SmartStrike will suggest where the fish might be hanging out. 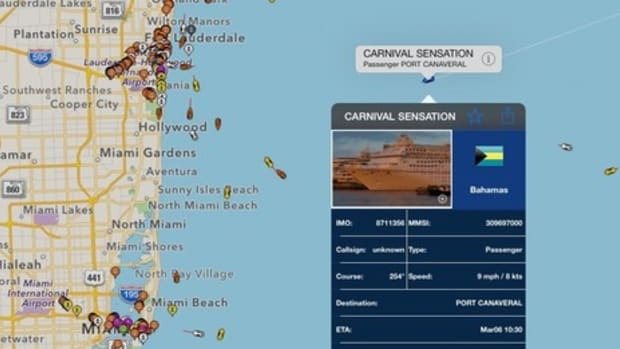 At $999 or less for side/down imaging and GPS plotting capability, a 9-inch Helix (also Navionics Gold compatible) may be a fish&apos;s worst enemy. 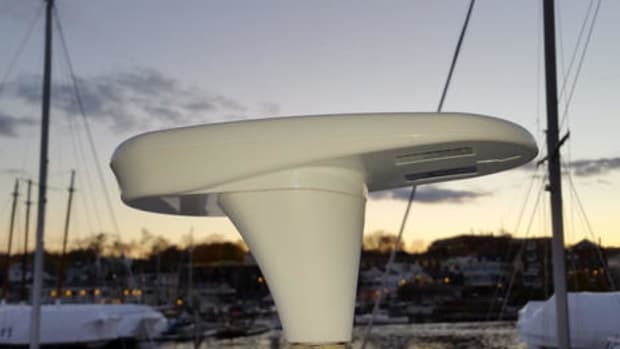 In case you missed the comment in our entry on testing Vesper&apos;s XB-8000 AIS Transponder, the no-Wifi version (XB-6000) with internal and external antennas launched last November for $200 less. Ben has long been a Vesper fan, and I purchased the Watchmate 850 transponder in 2013. 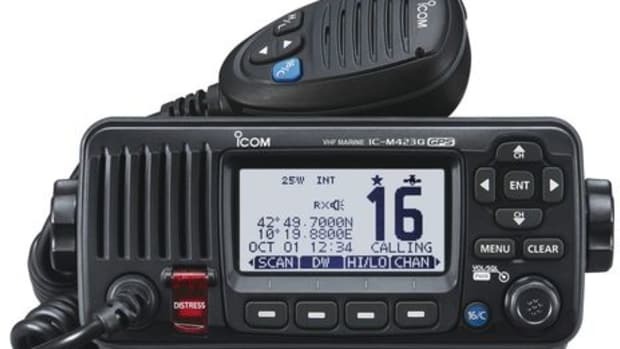 Back then I noticed a bug when sending an MMSI number from an AIS target to my Icom radio. It only worked when the NMEA 0183 baud rate was set at 4800 and not 38400 (directed through my NMEA 0183 multiplexer). Within days Jeff Robbins at Vesper issued me a firmware patch which resolved the problem. That&apos;s great customer service. That patch is still in place but I should probably update to the 850&apos;s latest firmware which supports 5Hz GPS. 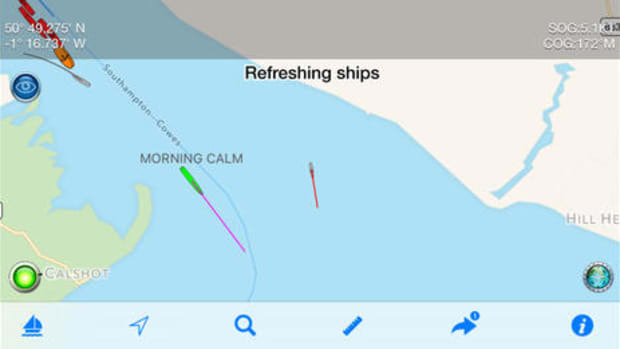 Vesper&apos;s latest firmware for the XB-8000 includes external alarm support for man overboard and the anchor watch feature configured by the Watchmate app. The app got an update too. What&apos;s really cool is that once set up, the anchor watch geofence data is stored in the unit and not in the app. If your phone dies you still get an alarm. Similarly the AIS SART triggered alarm requires no external equipment -- described more fully in the news release. 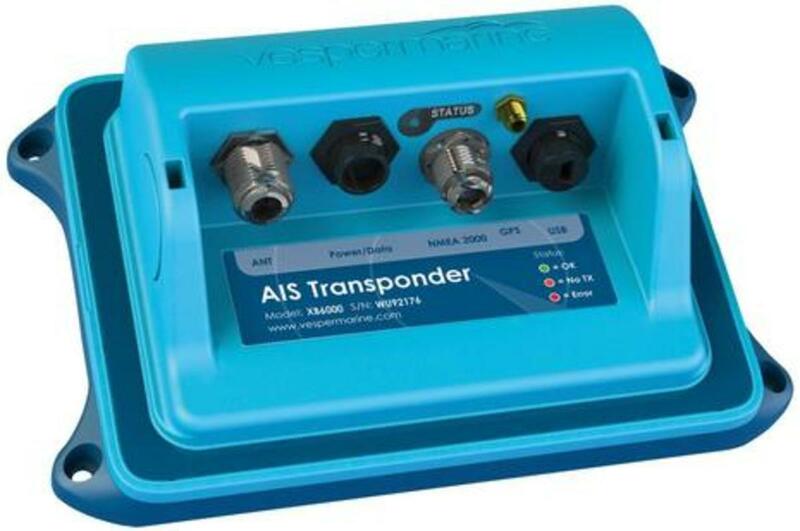 Many boaters don&apos;t realize that AIS receivers and transponders are a piece of gear that rarely need to be matched to a specific brand of multifunction display. 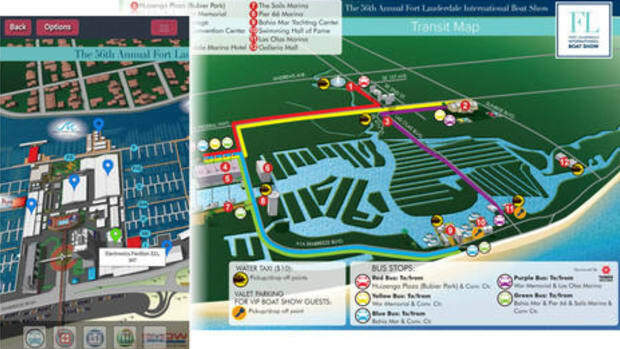 This gives wider feature choices like apps and the use of iThings. 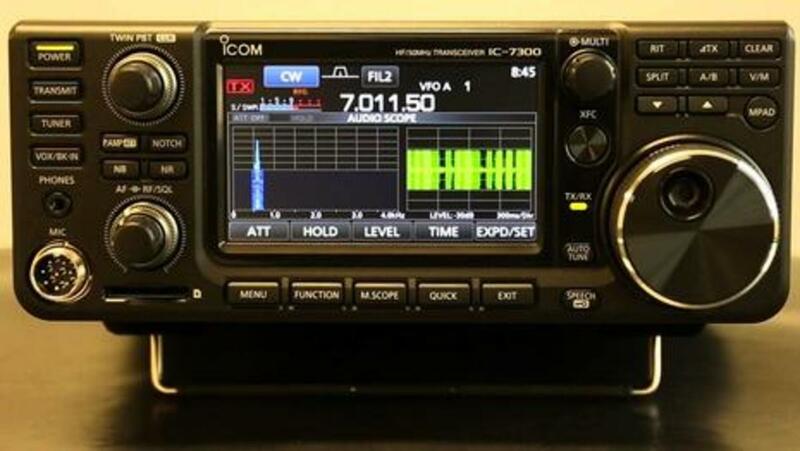 "Icom&apos;s IC-7300 utilizes an RF direct sampling system which is a departure from conventional superheterodyne system. RF signals are directly converted to digital data and reduces noise generated from different IF stages. Improved RMDR and superior phase noise characteristics reduce noise components in both receive and transmit signals." The excitement is literally and figuratively "over my head." 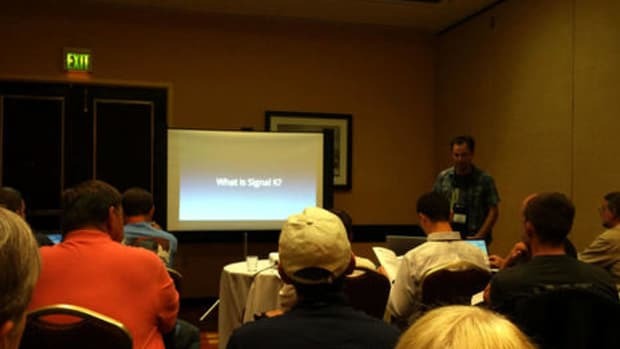 What I do know is that it is all about noise -- or a lack thereof -- if you want to communicate with the space station or you&apos;re bluewater cruiser using SSB (single sideband) frequencies. The 7300 can do all this at a $1500 price point which is apparently revolutionary. What I do appreciate (and is no joke) is that when disaster strikes and the landlines and cell-phones don&apos;t work, it&apos;s the ham radio operators that keep communications flowing. You can&apos;t put a price on that! 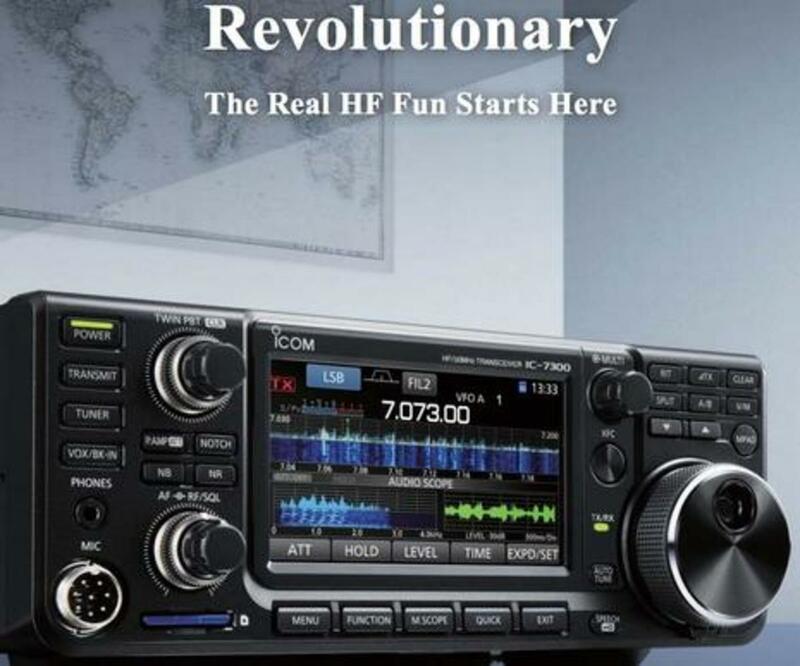 Our readers are perhaps better able to express what this new radio means to the history of long distance amateur radio communication?